I’m a sucker for stories about news ombudsmen, or public editors or readers representatives, even though they are branded these days. I can’t help myself. It’s a compulsion, an addiction. Think about it: An ombudsman might walk up to the top boss and tell him he’s wrong. She might pick through the details of a complicated story, then defend a reporter for doing a thankless, difficult or even dangerous job, or discover that a reporter did not go far enough to find the truth, and then say so publicly. I suppose I also admire ombudsmen because what they do is so idealistic: speaking up without fear or favor, letting the chips fall where they may. Maybe that’s why there are only about 20 of them working at American news outlets today, according to a Politico article, “The State of the Ombudsman in 2015.” That’s about half as many as a decade ago, according to USA Today. Still, ombudsmen in the U.S. and elsewhere trudge on. 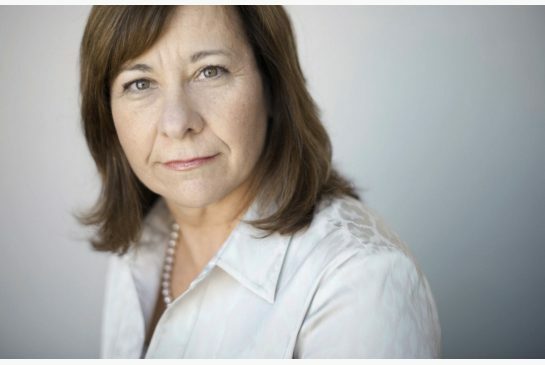 Kathy English, public editor of the Toronto Star in Canada, recently wrote an article titled, “So what does the public editor do?” Readers had asked her to explain her job, which she’s done for eight years. English explained she reports directly to the publisher as part of a strong commitment to accountability and transparency. The Star is one of two Canadian newspapers with ombudsmen. The other is The Globe and Mail. CBC and Radio-Canada also have ombudsmen. National Public Radio also recently posted “How we Work: A Week in the Ombudsman’s Office,” also in response to questions. “The ombudsman’s office serves primarily as a liaison between the newsroom and listeners, to make the newsroom leaders aware of how listeners feel and help listeners understand why the newsroom makes the decisions it does,” said ombudsman Elizabeth Jensen. The NPR ombudsman has no management authority, however, “the newsroom can take my suggestions (or not). I don’t speak for the newsroom or for NPR – just for myself – and I don’t have the power to print a correction or set policy,” Jensen wrote. Jack Lessenberry, ombudsman of The Blade in Toledo, Ohio, recently pointed out that sometimes he has to side with a newspaper’s owners and editor, since they decide policy. A reader wanted to know why The Blade denied the “Dr.” title to everyone except holders of medical and veterinary degrees. Lessenberry asked The Blade’s publisher and editor-in-chief, John Robinson Block, if it was time to change the newspaper’s policy. No, said Block. The policy is consistent and does not need to be changed. In another example, the Columbia Journalism Review points to concerns raised by The New York Times public editor, Margaret Sullivan, about a front page story that cast Hillary Clinton as the subject of a criminal investigation, which turned out to be false. First The Times revised the story, but did not issue a correction until 12 hours later. That did not meet Sullivan’s standards. The ombudsman trade got more than the usual passing glance in 2013 when the Washington Post decided to replace its ombudsmen with a reader representative. Financial planner and blogger Larry M. Elkin objected. The rise of the newspaper ombudsman, beginning in the late 1960s, “coincided with the golden age of American newspaper journalism in the 1970s,” wrote Elkin. He, like others, believed that the job was being watered down. It’s understandable why ombudsmen are vulnerable as news organizations cut staff in a punishing era of digital information, wrote American Journalism Review editor Rem Rieder in 2013. And it could be a step toward getting back to the idealism mentioned earlier. Idealism often accounts for the reason journalists get into the business in the first place. In this raging age of digital communication, that idealism gets lost. Let’s find it again.